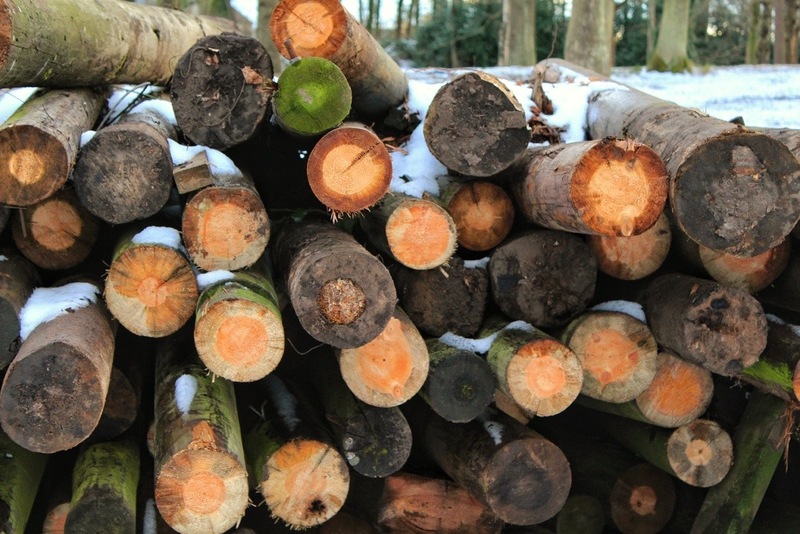 Walking in the woods after another snow flurry we came upon this unexpected pile of freshly sawn wood. This area until now had been home to a woodland adventure playground, with wooden walkways arching through the treetops connecting tree houses, wooden forts and flying foxes. I hadn’t visited for years, since my son was little, but had fond memories of the fun we had here, high up among the trees. 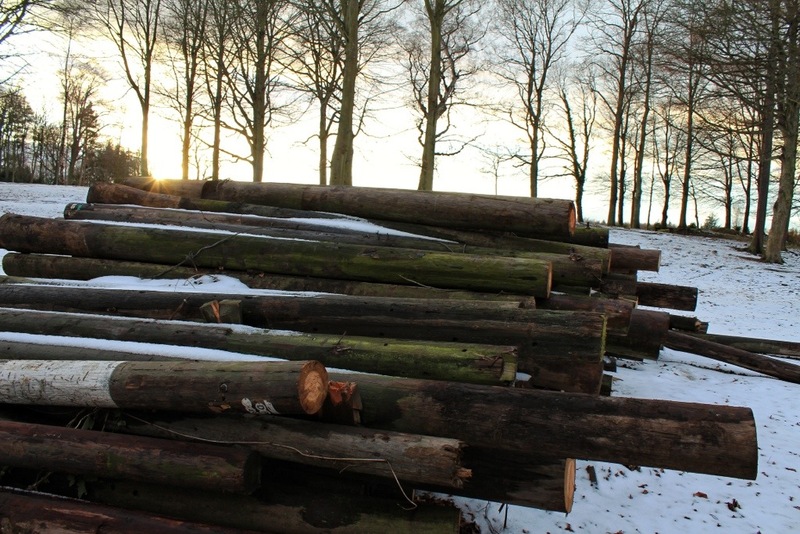 Now it was empty, apart from this wood pile, and a wave of sadness washed through me, for all the fallen trees. Then I looked a little closer, as I noticed how even and straight the trunks of these trees were. These weren’t the fallen bodies of the old adventure trees, these were old telegraph poles, lying expectantly, waiting for a new life. My emotions swiftly changed to curiosity and excitement, wondering what they were going to build here in place of the old playground. This drew me closer to the wood, and I was struck by the beautiful array of colours on display. Yet another wave of new emotions flowed, as I gazed in wonder at the beauty of life, contained in a pile of old wood. Thinking back over all this I’m struck by how fleeting the emotional waves were. Yet often I can feel at the mercy of strong and powerful emotions which feel as though they might overwhelm me. This is such a good reminder that in fact if we just wait and breathe, most emotions will flow through us and on. Emotions don’t need to take root within us, if we can allow them, they will flow through and the next wave will surely follow. The next wave might be something very different to what is being felt now. The next wave might be something really pleasant or fun, if we will allow it space to show itself. If we won’t allow things to pass, we will have no space for anything new, and this applies just as much to our emotions as it does to our physical worlds. Instead of mourning for what we are losing or letting go of, perhaps we can find some curiosity or excitement about what might come to fill the spaces being left. I read a Chinese proverb once, which I now can’t find, but the gist of it was…..you can allow and even welcome all your emotions, but you don’t need to invite them to build nests in your hair. I think this is another good reminder to let feelings flow. This entry was posted in change, mindfulness, photos, spiritual and tagged change, mindfulness, photography, spiritual, spring clean. Bookmark the permalink. Very true…sometimes it seems we make things harder than they need to be. I suspect it’s the dread of the loss, the letting go which swamps out the future possibility of joy and celebration. Great post. I love the way you describe emotions as coming in waves and that they don’t need to take root in us. Humans must control his desire! Restrain their own needs! I am a Buddhist believers sake, I’m really not much need. Beautiful post, as always. I recognize that proverb too – I think it sounds almost the way you have written it. And its essence is about the same that you try to explain to us, isn’t it? I wish I could remember that saying whenever I need it. Last week I lost a very dear colleague. Unexpectedly. When I went to the silent room to write in his book for remembering him, I just broke down when I saw his picture standing there with two white candles lit in front. He was only my age, and just become a grandfather. He was a quiet, wise man with a sharp but dry sense of humour. We often talked about life and its different shades. I talked to him just a couple of days ago… I loved his eyes and the funny wrinkles they had at the corners. I regret not hugging him enough. We shared so much laughter and serious talk…and suddenly one day …he’s gone. He would never have let anything bother him for long. A wonderful man and I miss him. He sounds like a great person to have known. What you’ve written makes me want to hug him too 🙂 Its so sad the spaces left behind in our lives when someone dies, but the gaps are there because they filled our lives with something delicious and unique. The pain of loss is the price we pay for letting love in, and even that pain changes with time. True. I feel so sorry for those who, because of this price, never allows love to even walk by their side…I know some people who I belive are crippled by this. Beautiful post! Let it low through and the next wave will follow — well said. Thank you for sharing! Wonderful post — and the proverb at the end is perfect. also a reminder that we are generally so quick to judge…and that you should always take a second look! This is beautiful Seonaid. 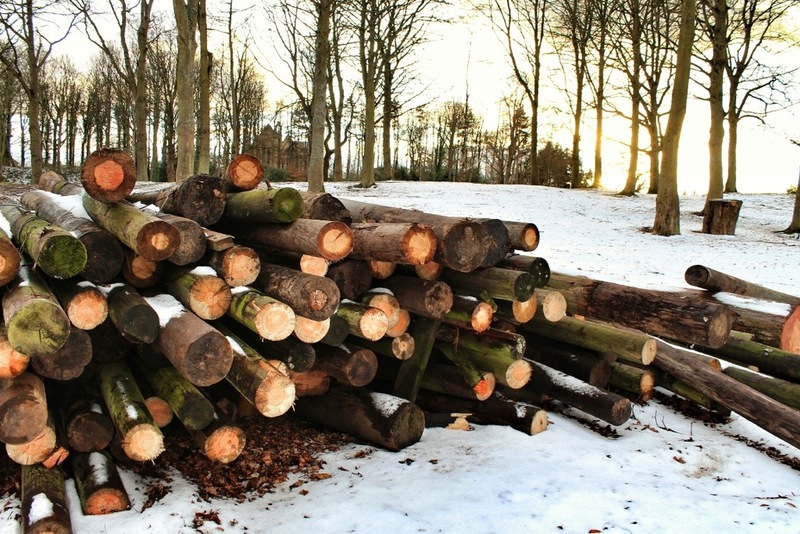 Visually, they remind me of Hockney’s logs! An eloquent reminder of how we need to take time to acknowledge our emotions and give them the attention they deserve. Thank you.